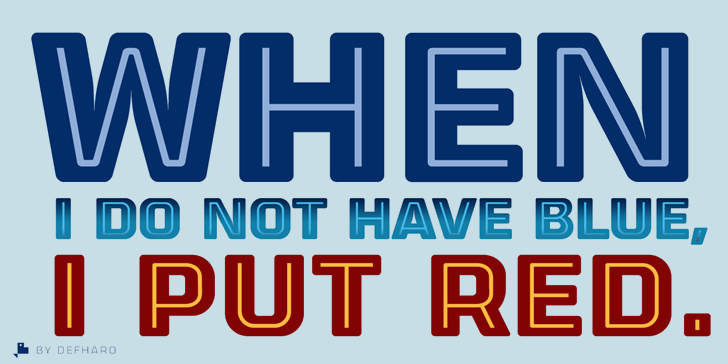 Letrera Caps Layered & Color Fonts is a rounded square-typed display type with three styles that pays homage to the Sans Serif Inline letters, which are very popular in the design of colorful signs and signs from the mid-20th century. 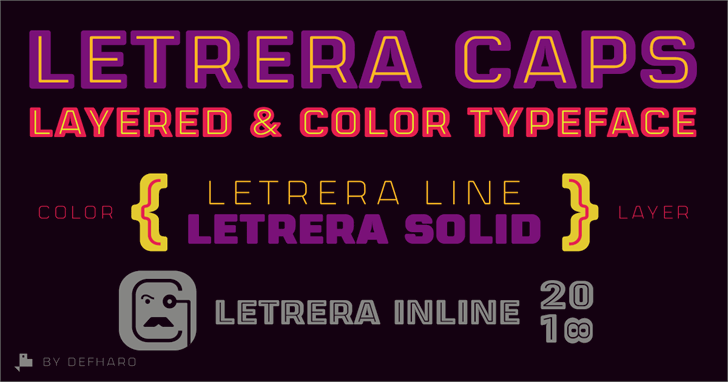 Letrera Caps Inline: I have drawn a closed inner line (Inline) in each uppercase letter and sign, the width of this line is 1/6 of the original width of the antlers, the "lowercase" have the same Inline but with leakage, try them! 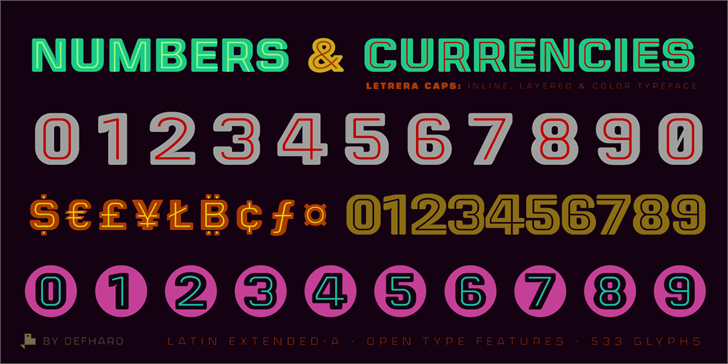 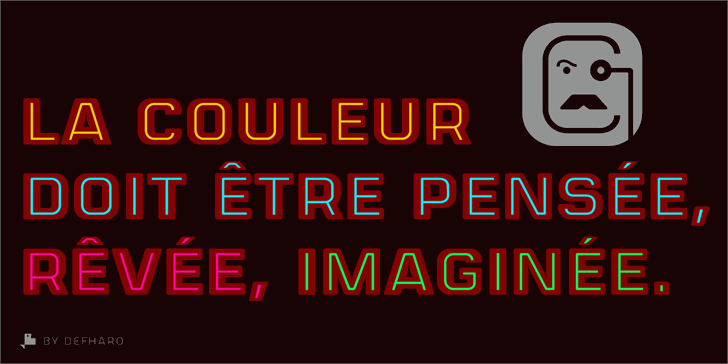 Letrera Caps is a rounded square-typed display type with three styles that pays homage to the Sans Serif Inline letters, which are very popular in the design of colorful signs and signs from the mid-20th century. 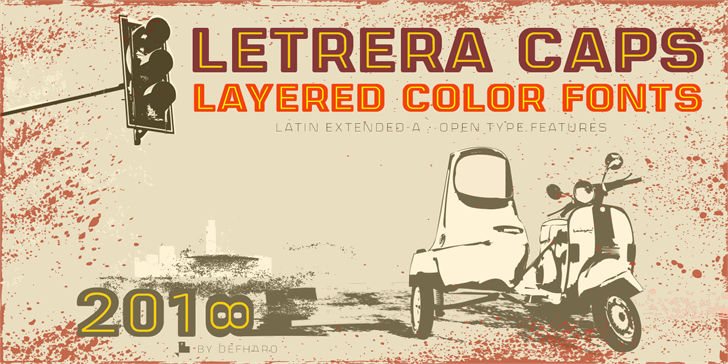 Letrera Caps Inline Heavy is a trademark of deFharo.